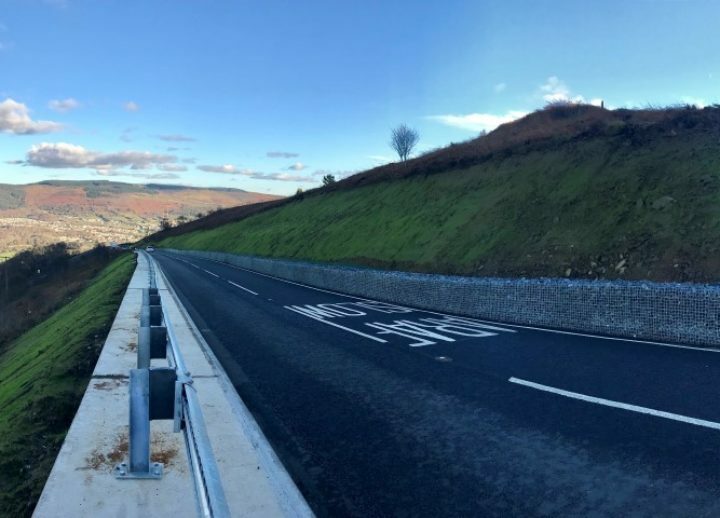 The A4233 Maerdy Mountain road is a two-lane, single carriageway which passes over Maerdy Mountain, providing a vital link between Aberdare and Maerdy. 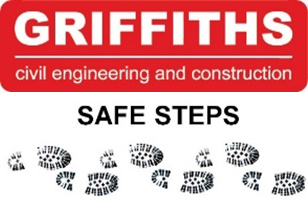 It is used by residents, businesses and school children with no suitable alternative routes in the area. 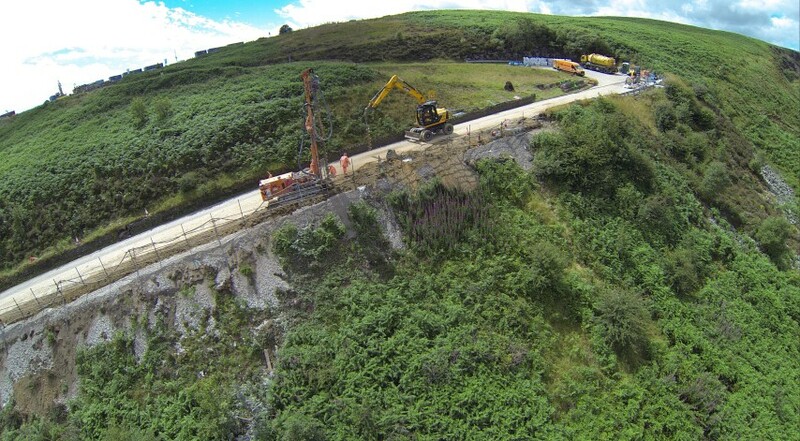 Since 2015 the route has been under traffic light control due to a landslip. 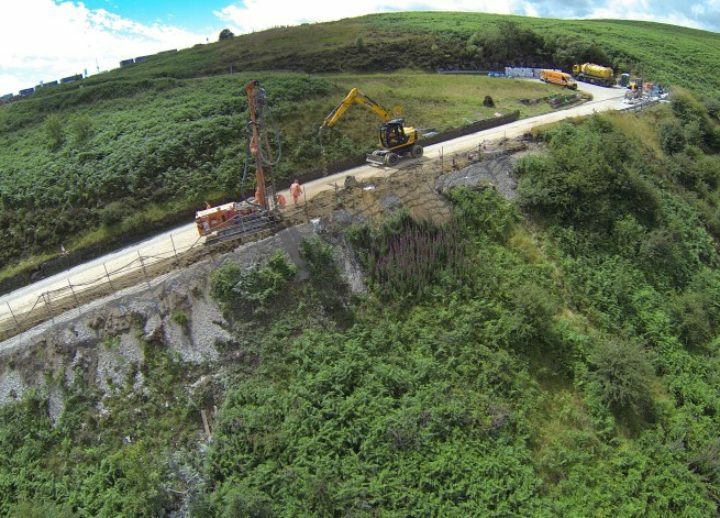 In 2017, Griffiths were appointed to remediate the landslip, which included earthworks, construction of a retaining structure and vehicle restraint barrier, reinstallation of highway surface course and improved ground and highway water drainage. Due to access constraints, a bespoke piled edge beam detail was designed which required only a small pile rig and mitigated vast temporary works. Piles were also designed with grout rather than concrete to increase reinforcement cage sizes without increasing pile diameter. 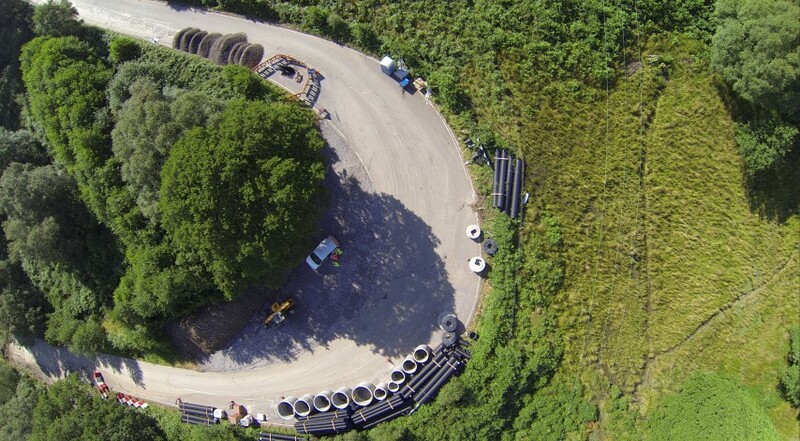 The design allowed for up to 1m of embankment erosion in the future. 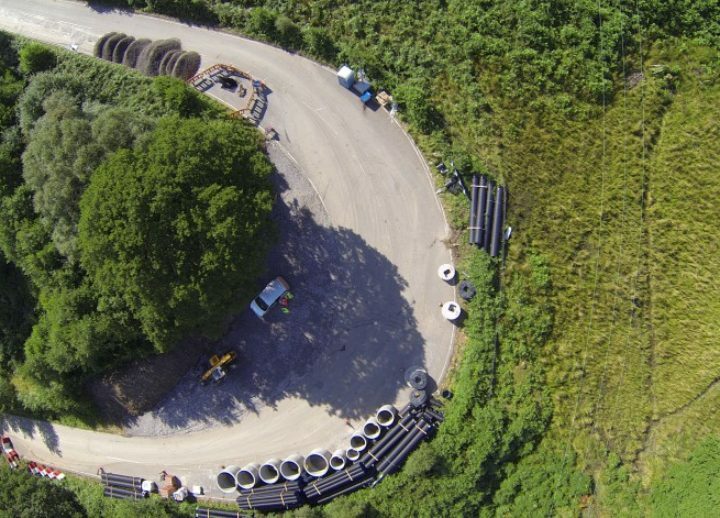 This pile system and edge beam increased the rigidity of the “RAMwall” retaining structure, which consists of mesh panels that were “O”-ringed together for quick onsite construction. 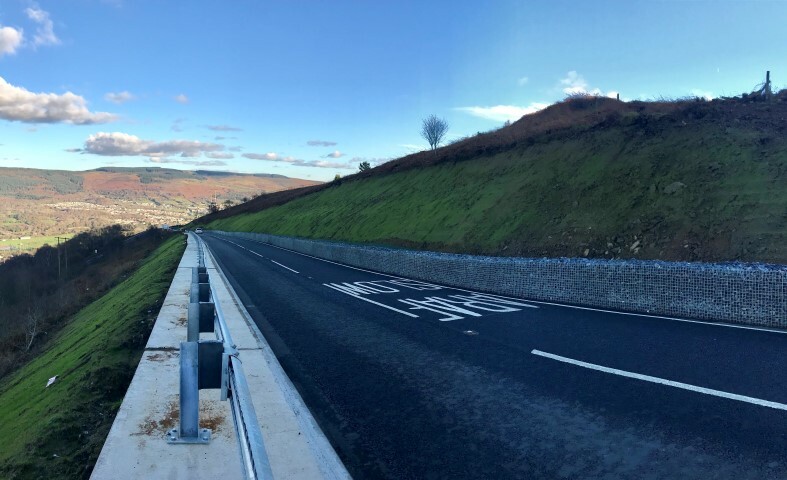 A new positive drainage system was installed on the mountain which reduced water run-off down the slope and will ensure the road is not as susceptible to fail in the future. Embankments were then hydroseeded with a fibre mix which removed the need for erosion matts. The project was achieved within the 12-week programme to time and to budget.